The bellows is a tubular elastic sensor which is formed by folding foldable corrugated sheets in the direction of folding and contracting.bellows are widely used in the instruments field.As a key measuring component, the main function of the bellows is to convert the pressure into displacement or pressure.Bellows are often used in conjunction with displacement sensor instruments to form a pressure sensor that outputs electrical power.because the widely use of the the bellows,today I will introduce you the six tips for bellows installation. 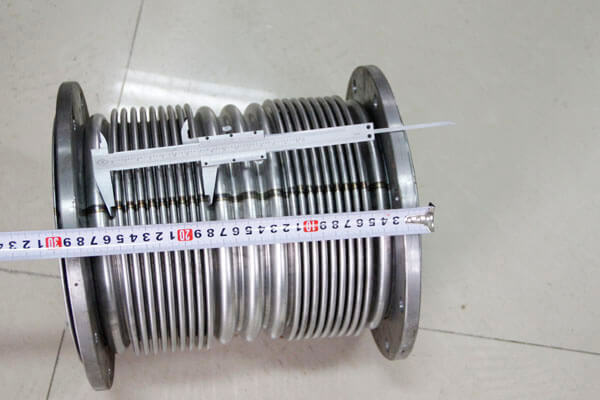 Number one:before installation,the first step is to check the mode of the bellow and Pipeline configuration.All of these must strictly comply with the design requirements. Number two:For bellows with inner tubes, it is important to keep the inner tube in the same direction as the medium.besides,the hinge rotation plane of the hinged bellows should coincide with the displacement rotation plane. 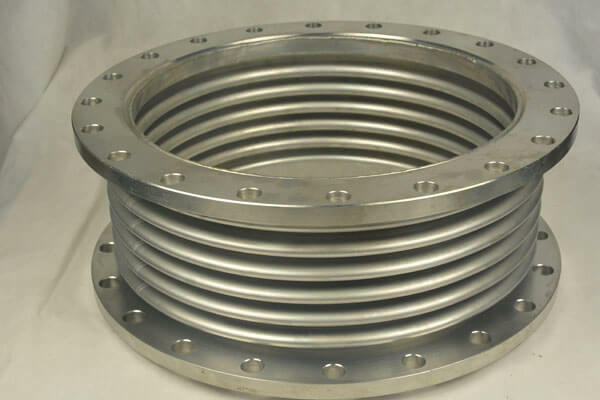 Number three:For those that require a “cold tight” bellows, the auxiliary construction used for pre-deformation should be removed after the pipeline is installed. Number four:It is strictly forbidden to adjust the installation of the pipeline at the expense of bellows deformation, so as to avoid affecting the normal function of the compensator, shorten its service life, and increase the load on the piping, equipment and support. Number five:during installation,welding slag must not spray onto the surface of the wave shell and no other mechanical damage to the bellows is allowed. Number six,After the installation is completed, the yellow positioning aids and fasteners used for installation and transportation on the bellows should be removed as soon as possible. In addition, these firmware should be adjusted to the appropriate position according to the needs of the design. In this way, the piping system can be fully compensated in this case. The above is the six-point tip for installing the bellows. These points are especially important in the process of installing the bellows.for the different environment conditions,the service life of the bellows varies greatly.and the service life is closely related to the attraction rate of the material.In addition, the service life of the bellows also depends on the residual stress of the bellows formed, the stress concentration and the surface quality of the bellows. In addition, the service life of the bellows is also related to displacement, temperature, pressure, vibration conditions and the like. This entry was posted in Bellows. Bookmark the permalink.